From the 25th–29th November, this annual Christmas shopping event will give you ideas on everything; from decorations and handcrafted gifts, Christmas puddings and festive fizz, to furniture and New Year Home Improvements – the show has it all. We’re very happy to be sponsoring Gregg Wallace’s Restaurant and we’re also the official supplier to the amazing Food & Drink Theatre – mince pies anyone? We have an exclusive offer of 2-for-1 tickets to the show. To claim yours simply use the code OCADO241 when booking. This code will also give you the chance to win a VIP package to the event that includes a three-course meal in the Gregg Wallace Christmas restaurant, a signed cookbook and lots more goodies, too. 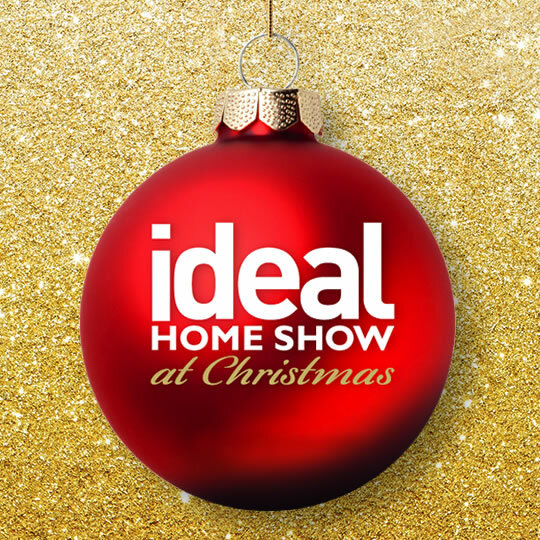 We’ll also be giving away £1,000 to one lucky shopper at the Show – wouldn’t that be nice just before Christmas! Book before 31st October 2015. Offer valid on Adult On the Door ticket prices only, £17.50 weekday, £19.50 weekend. Calls cost 6p per minute plus your phone company’s access charge. Entry is only open to customers aged 18 and over. Competition closes on 31st October 2015. Prize is valid for two people, from 25th–29th November. Show date to be confirmed with the winner, subject to availability. One winner will be drawn at random on 06/11/2015 and will be notified by email. If a winner cannot be contacted or does not respond within 14 days of the initial notification, or cannot take up the prize, then we reserve the right to select another winner. The chance to potentially meet one of our Celebrity Ambassadors will be based on the availability of the Ambassadors and day of visit. The promoter of this prize draw is Media 10 Ltd.
Full address is Media 10 Limited, Crown House, 151 High Road, Loughton, IG10 4LF. This entry was posted in Talking Ocado and tagged Christmas, competition, ideal home show by Ocado. Bookmark the permalink.